Danish Tattooing by Jon Nordstrøm. 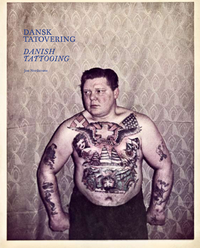 Here's the book about the history and present tattoo scene in Denmark. It have been released in the recent months so it's still pretty fresh. The time span of the book is from the 1895 to the present and the book covers variety of people and tattoo venues important to the development of the tattoo art in this country. I haven't got a chance to lay my dirty claws on it yet but I sure hope I will get to read it one day. "Danish Tattooing traces the visual development from 1895 up to the present day, with the Golden Age of the 1960s particularly rich on fascinating tales from a rough scene. The book is full of anecdotes and historical photographs of larger-than-life characters and tattooing hotspots: the raw Nyhavn, where sailors and drunk Swedes got their tattoos, and the even rougher Istedgade, which developed into a new tattooing hub in the 1980s. Actually, Copenhagen was the heart and soul of tattooing in Scandinavia until the mid-seventies. 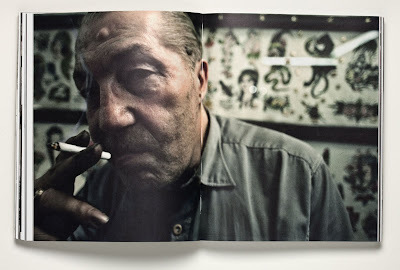 The book returns to the present by portraying 14 working tattoo artists, along with their distinctive artwork. "